It would appear that Amazon is on an expansion rampage. On June 27th, Amazon announced a new update to Kindle for iPad and Kindle for iPhone and iPod touch that will introduce embedded video and audio clips exclusively for these devices. 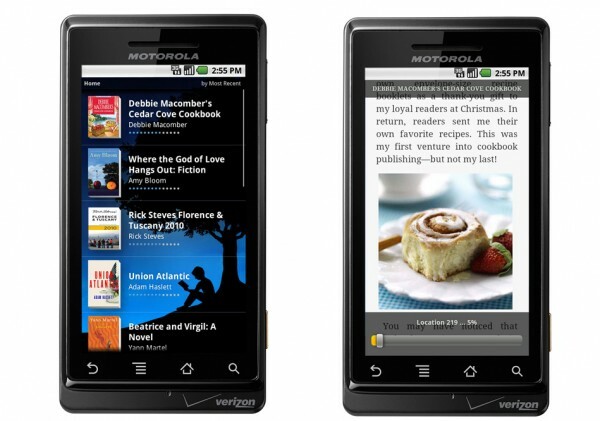 Then, on June 28th, it was announced that a free Kindle app for Android-powered smart phones was live and available to download at the Android market. Amazon’s decision to introduce a new feature like embedded video and audio in Kindle books on a rival eReader like the iPad is actually very smart from a business perspective. There’s no realistic way that the Kindle can compete with a tablet or a smart phone; it just simply can’t do all the things that those devices can. If Amazon were to take this route, it would crash and burn miserably. So, it has decided to take the road less traveled by. Instead of clashing with Apple head on and making it a fight between eReaders, Amazon has circumvented the battle by solidifying Kindle as the go-to eReader app for Apple users. Creating a Kindle app exclusively for these three Apple devices and giving it features that no other Kindle app has, not even the physical Kindle, will push it several steps ahead of Apple’s iBookstore. And by making the Kindle app the go-to eReader app, Amazon will ensure that users will take advantage of their 620,000+ library and buy Kindle books, and the profits from those sales will offset any loses Amazon may suffer from consumers buying iPads instead of physical Kindles. Now, whether or not video and audio will be able to improve the reading experience is a whole other matter altogether. Personally, I would think watching a video in the middle of reading certain books would be a little counterproductive, but that may just be me. Amazon announced that one of the first books to take advantage of these new features will be Rick Steves’ travel guide Rick Steves’ London, which is one of the few genres where I can see the benefit of a video feature; after all, if you’re a tourist and you’re relying on a travel guide to get you to your destination, what better way to tell where you are than a video that will visually and audibly guide you to wherever it is that you want to go? I do hope that Amazon doesn’t start adding movie clips to their fiction books, though. I really, really don’t want to have to listen to tweens giggle about how hot Robert Pattinson looks while they’re “reading” Twilight on their iPhones. In an increasingly competitive eReader app market, Android has been the last major holdout in getting the Kindle app. But the wait is finally over, and Kindle users running Android 1.6 or greater can now download the free app on the Android Market. Amazon has included all the features that users would expect in a Kindle app; free book samples, access to the Kindle store as well as to previously purchased Kindle books free of charge, customizable background color and font size and color, adjustable screen brightness within the app. But most importantly, it will come with Amazon’s Whispersync technology that saves and synchronizes users’ books and bookmarks across all their Kindle-equipped devices, just like other existing Kindle apps do. This means that readers can download a book on their Android phones, read a few pages when on the go, then continue reading where they left off on their Kindles or iPads if they want a larger screen. Like the upgrade for Apple devices, this introduction of a Kindle app for Android devices is another smart business move on Amazon’s part. Android phones have been increasing exponentially in popularity since their introduction a little over a one and a half years ago. More and more consumers seem to be switching over to one of the many Droid phones currently available. While it might not be as large as the Blackberry or Apple communities, this is still a significant number of potential Kindle customers that Amazon up until yesterday had yet to tap into. Now that the free Kindle app is available to most smart phone owners, however, Amazon is poised to reaffirm its status as the number one eReader with everyone, not just with Apple users. I’d honestly be very surprised if other Android eReader apps like Kobo, Aldiko, Laputa, and iReader will be able to compete with the Kindle app, simply because their libraries aren’t as extensive and their names aren’t as well known. It will be interesting to see how the public responds in the coming weeks to Amazon’s latest business moves, and if Kindle will be able to overtake iBookstore on Apple devices and top the Android Market for eReader apps. Love reading books on iPad’s Kindle app: so much better clarity than on Kindle!